Crop Spot Farms consistently has high quality, locally grown produce available 365 days a year. Crop Spot Farms opens its doors to the community to give back through engagement and education. 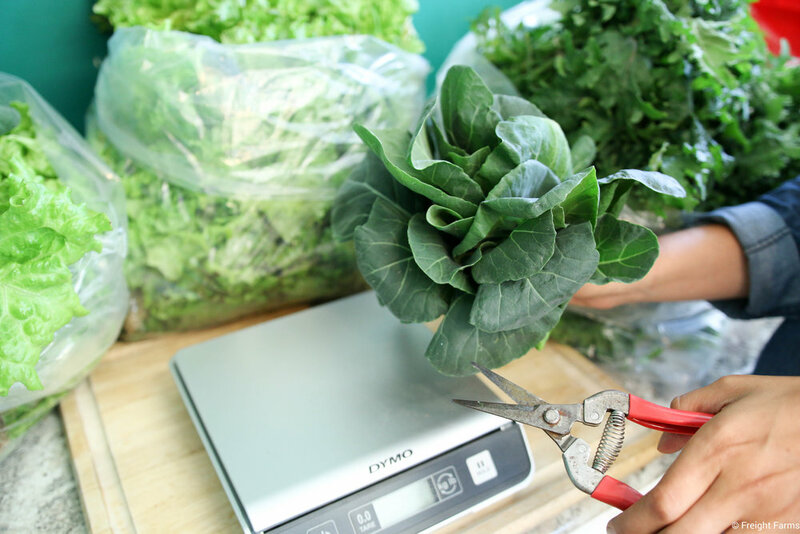 We want to be your premier local source for high quality produce year-round. Today, your food is harvested before ripening and may travel over 2,000 miles before it reaches your plate - that is not our idea of fresh. With our high-tech container farm we can grow ultra-fresh crops in any season, even in the dead of Michigan winter. Our motto, "Happy Food, Happy People" is built on the idea that fresh, healthy, nutrient-rich food can bring people closer together. Our goal is to be present in our community so we can help bring social issues to the forefront of change. As an extension to our community engagement, we are committed to inspiring action within our community through sustainable practices. Our innovative approach to food production will be a cornerstone for learning and education, catalyzing ideas that improve the lives of generations to come. Nabeel Kasim is an Ann Arbor local, and University of Michigan alumnus (Go Blue!). Apart from his full-time work as a project manager for a community-based printing company, Nabeel has a growing interest in how food can impact our health and environment. On a trip to a remote village in Cambodia, he was inspired when he encountered a farming family using a soil-free farming technique, collectively known as hydroponics in an area with sporadic weather and a sparse supply of clean water for irrigation. Upon return from Cambodia, he began his own efforts in gardening and experimenting with hydroponics, realizing the untapped potential in Ann Arbor. Nabeel finds balance in his life by taking time to read, exercise, and be outdoors.